Museum of Castel del Rio, mainly dedicated to the Gothic Line events, was founded in 1978. Over two thousand pieces, rigorously cataloged, the collection consists of weapons, documents, radios and other war technologies, personal effects of troops and soldiers. 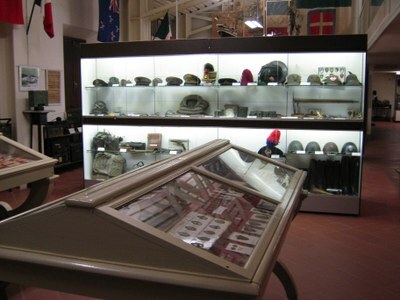 Every year on the third Sunday of May, the museum promotes Militaria, a fair exhibition of pieces and military vehicles. The museum is open on sundays from 14.00 to 18.00. 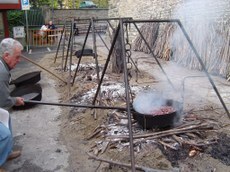 Inside Palazzo Alidosi you find a didactic exposition dedicated to the chestnut, one of the typical products of Santerno Valley which has been for centuries a key resource for local economy. The museum is open on Sundays and from 14.00 to 18.00. Inside Palazzo Alidosi, the Animal Tower has the goal to highlight the richness of nature that surrounds us and stimulate the ability of observation, to appreciate nature in all its forms. Knowing the biological diversity that surrounds us becomes a fun, enjoyable activity that allows you to appreciate the extraordinary richness and variety of life forms, and allows you to capture the awareness of being guardians of beauty and harmony. The Animal Tower is a reconstruction of typical environments of the SANTERNO valley: river, forest, rocks, trees, flowers, insects, reptiles, amphibians, fish, birds and mammals. Large screen with videos and naturalistic drawings. Audio with the sing of birds.